Happy Thanksgiving to you and all your families! I hope you all have a wonderful day with your families. Personally, for me, it will be a tough Thanksgiving after losing my father this past August. I thank God for having such a wonderful and supportive family who are with me through thick and thin. I hope all of you have a beautiful holiday. I won't be shopping on Thanksgiving.....I spend the day with family. This year I plan on making most of my Christmas/ Hannukah gifts. This is the reason I have chosen today to start my BLACK FRIDAY SALE! Get a head start on making your handmade gifts! EVERYTHING in my Etsy Shop is on sale! All Silhouette products, Prima Flowers, lace and trims are at rock bottom prices! Hurry, sale ends on December 1st! Prima Flowers and Silhouette Pix Scans will NOT be re-ordered, so get them now while supply is available. Don't forget FREE shipping on ALL orders $50 or over (subtotal on merchandise, no tax). Use coupon FREESHIP at checkout. 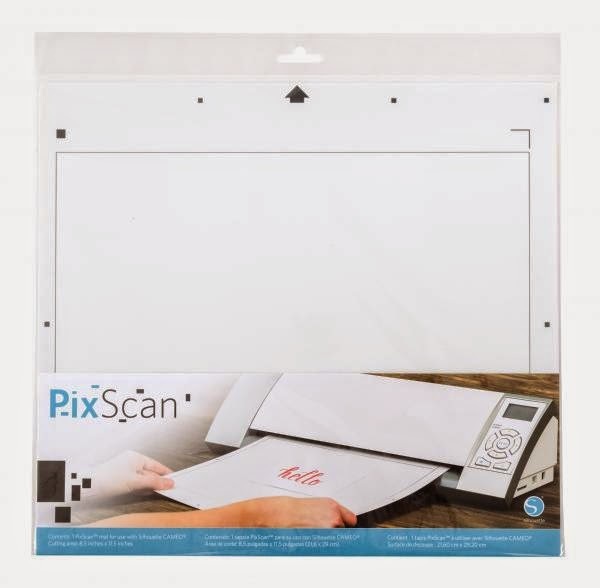 Pix Scan mats are now $8.99 (reg. price $14.99)...that's 40% off retail price. 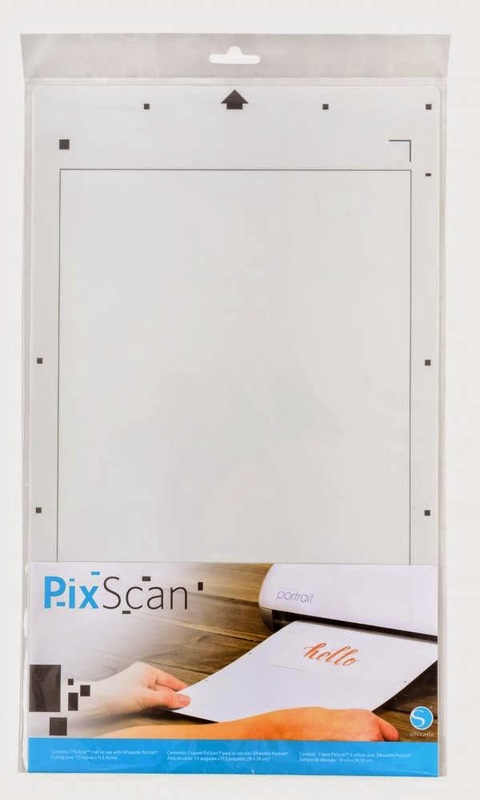 There is limited quantities on the Pix Scan Mats so get yours now. I will not be ordering again...so this is it! Beautiful Prima Flowers on sale for $2.99! The images below are just a few of the beautiful Prima Flowers available. Gorgeous lace trims starting at $1.49 p/yard! 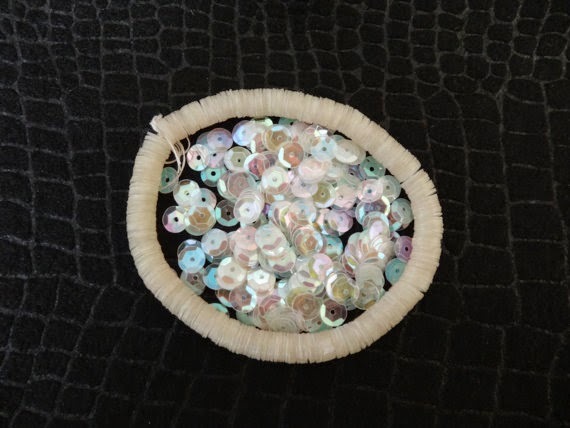 Beautiful Sequin string of 1000 on sale for $1.99! The color is a cream opalescent.......changes color and is so pretty! There is so much more to see in my store. I just put brand new merchandise in the shop today and is all on sale. FREE SHIPPING ON ANY ORDER $50 OR OVER! While at checkout, use coupon FREESHIP and shipping is on me! If you have any questions or have a special request regarding shipping, etc, please feel free to email. I will gladly answer any question you may have. Prima Flowers Available and My Entire Etsy Store on Sale! Happy Veteran's Day! I want to thank all of our Veterans, past and present, for making our country the best in the world and safe. We owe you so much gratitude for everything you have done. Keep up the good work and know that you are all in my prayers every night. I have Prima Flowers and beautiful lace stocked in my Etsy store. Many different styles and colors to choose from and the price is great! Everything in my store is 10% off now through Saturday, November 15th..this includes all Silhouette items........everything. Please use coupon code VETERANDAY10 . Click here to go my Etsy shop! You may combine shipping on all orders. If you have a question before placing an order, please email. I will be happy to try and accomodate your request. Keep looking back as I will be putting up new flower styles and lace every few days. Have a beautiful day, everyone! Shop, Stay warm and light a fire! Don't forget tomorrow is the big day and a BIG announcement from Silhouette! I have all the newest news in my blog starting at midnight, Pacific Standard Time, October 15th! Set your alarms because you will want to read and see this! Just wanted everyone to know that prices have been lowered on the Silhouette Pix Scan on my Etsy site! Also, regular mats and shipping costs have been lowered! Don't forget I combine shipping. These sale prices are good through October 15th! Spread the word! Cameo Pix Scans are HERE and Ready to Ship! I just want to update you that the Silhouette Pix Scans for the Cameo have arrived and are now in my Etsy store. I have limited quantities available so get yours NOW! Go to my Etsy link above, my Etsy blinkie on the right or just click here! And don't forget.........free shipping over $50! Just email your order to me...DO NOT order through Etsy any order over $50 (CA tax excluded). Pix Scans for Cameo Arriving Friday 9/12! Two posts in one day..........woo hoo! This one is very short and sweet. 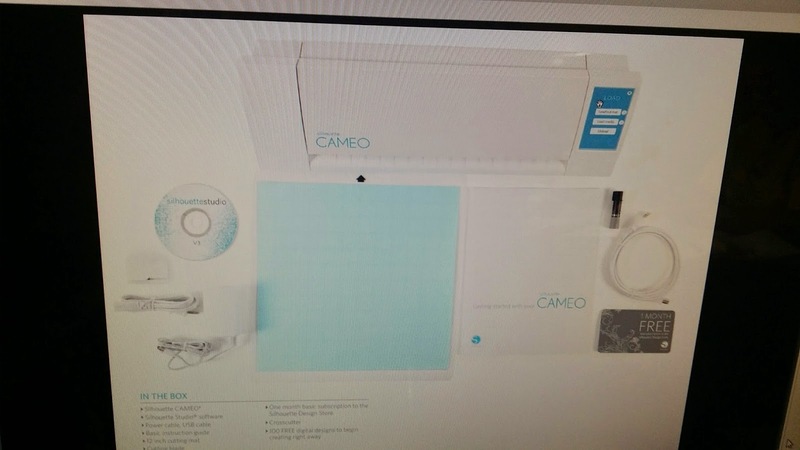 Silhouette advise the Pix Scans for Cameo have shipped! I should receive delivery by Friday, Sept 12th. I already have a few pre-orders............if you would like to pre-order you Pix Scan for Silhouette Cameo, email now (US and Canadian orders only please!) I ordered a total of 30 Pix Scans for Cameo. Whatever is left over I will put in my Etsy shop for sale. The Pix Scan mat for Cameo will sell for $12.99 plus shipping. 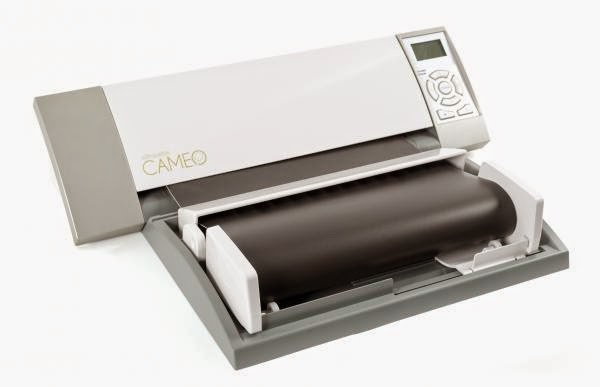 If you have already pre-ordered your Cameo Pix Scan......no need to send an email. I've got you! Happy Crafting! 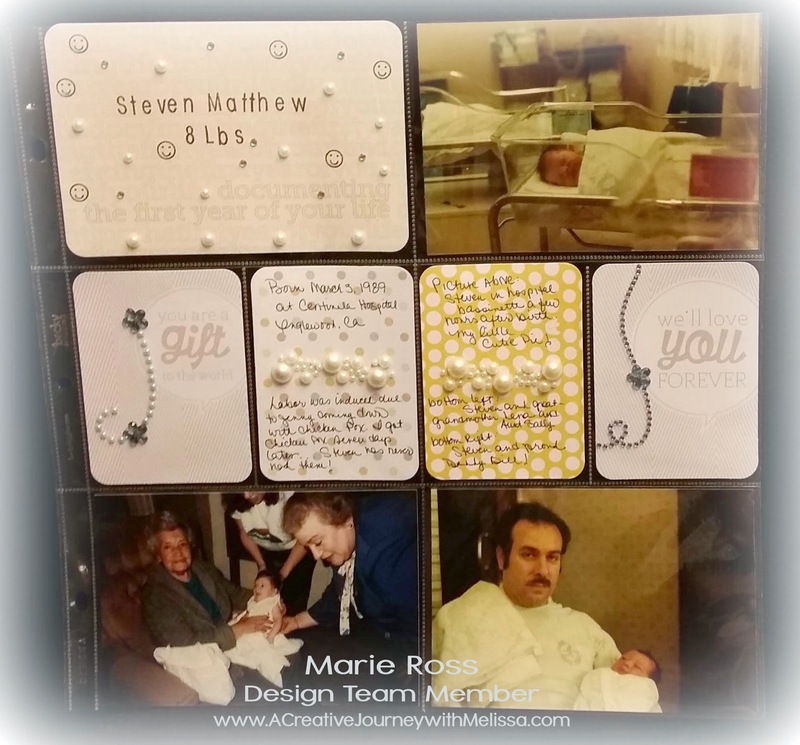 Please do not forget to blog hop and win fabulous prizes with the new stamp release from A Creative Journey with Melissa . For the blog hop, please see my post below and answer the question I posted. 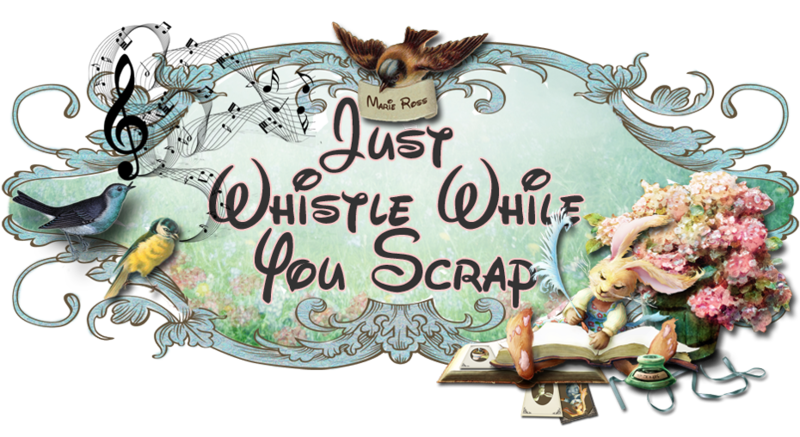 New Stamp Releases and Blog Hop! It's that time for a new stamp release from A Creative Journey with Melissa! Welcome to the monthly NEW RELEASES for A Creative Journey with Melissa. Every SECOND WEDNESDAY of the month we will be featuring our newly released stamp sets. As you are all aware, I am a Design Team member for A Creative Journey with Melissa and I am so excited to be able to share these beautiful creative designs with you today. 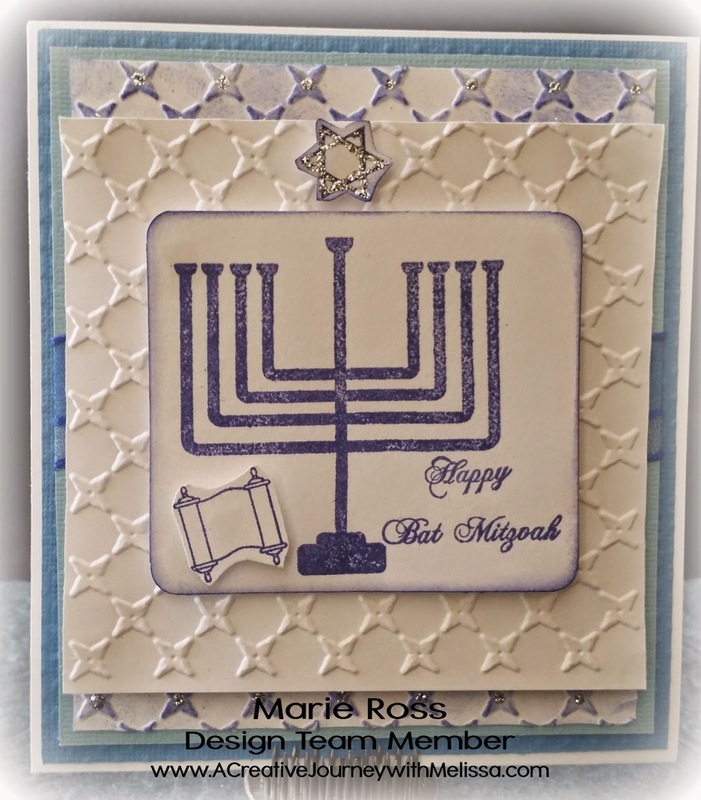 The new stamp releases are Celebrate Judaism, and Fall & Winter Holiday Sentiments. Also highlighted are our amazingly cute and versatile Everyday Alphabet (Upper Case with Emoticon and Lower Case with Numbers) and Everyday Alphabet Outline stamp sets throughout this hop. I am featuring the Celebrate Judaism, Everyday Alphabet Upper Case and Emoticons and Everyday Alphabet Lower Case stamp sets. It is hard to find stamp sets for any Jewish holiday. 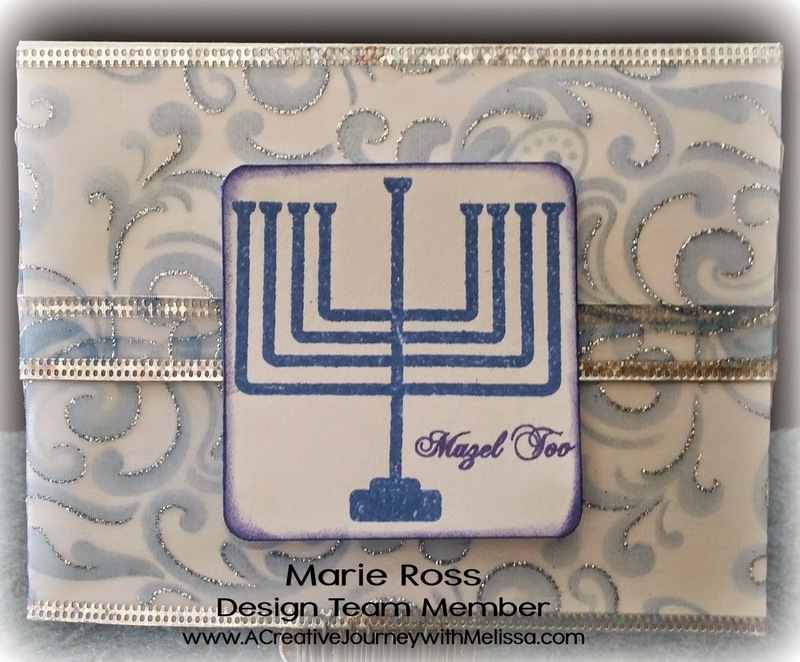 Melissa has taken that burden away by making a beautiful stamp set one can use for many Jewish holidays and celebrations. My First card, 'Happy Bat Mitzvah' was made with four layers of cardstock, two which were embossed. I took an ink pad and rubbed it over the embossed background and used the same ink to stamp the images. My second card, 'MazelTov', was made with ribbon. I covered the entire front of the card with thick, glittery blue and silver ribbon. I loved the simplicity and elegance it gave to the stamp set. This is a perfect card for a wedding or anniversary. I love using Melissa's stamps. They are very versatile, stamp with detail and are easy to use. You can find the Celebrate Judiasm stamp set here. I made my first 12 x 12 Project Life page using the Everyday Alphabet Upper with Emoticon and Everyday Alphabet Lower Case Stamp set . It's never too late to start a baby album...even if your baby is now 25! Project Life is all about documenting, so I made sure to write as much as possible and use my own handwriting for posterity. You can find the Everyday Alphabet Upper Case and Emoticon set here. The Everyday Alphabet Lower Case and Numbers can be found here. What craft supply could you not live without? I know there are many, but if you could just pick out one, what would it be?? Please be sure to answer on everyone's blog the question asked of you correctly and follow each blog. You will be entered in the giveaway for the four prizes if you do so! Entries for this blog hop will end Friday at 8 PM PST. Winners will be announced Saturday on Melissa's blog. Be sure to check back at http://acreativejourneywithmelissa.com/blog/september-release-blog-hop-winners/ to see if you've won! 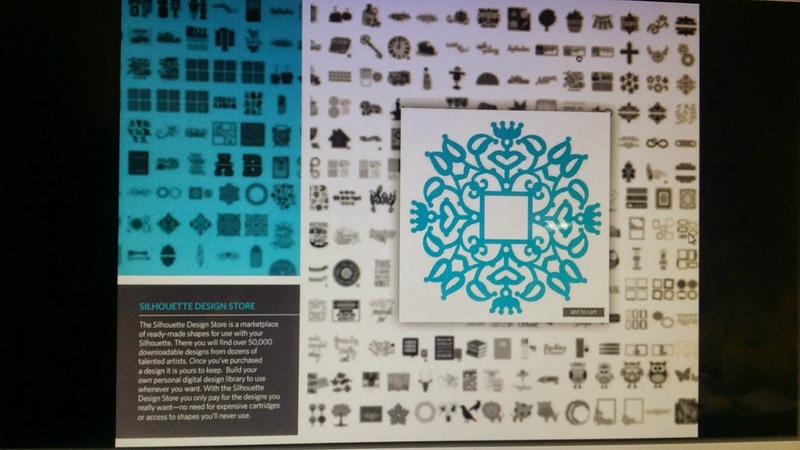 Thank you for visiting and please be sure to hop along to all of our other amazingly talented design team members and comment on each blog answering their question correctly. If you do, you will be entered to win one of four fabulous prizes listed above. Thanks so very much for hopping along with us! Contest ends Friday at 8 PM PST. Winners will be announced Saturday. It's not just me but everyone (including Silhouette) is sold out of Pix Scans. They have been very, very popular! I have about 30 Pix Scans on order (should be arriving 2nd week of September). I will have the Pix Scans for Cameo in my Etsy shop as soon as I receive them. I was told there are over 5,000 back orders, fortunately, I am at the half way point of the backorder. I will take pre-orders for the Pix Scan mats for Cameo but only if you email me and send me your order. I will invoice you for the Pix Scan mat/s when I receive them. Price will be $12.99 plus $4 shipping, $2 for every extra mat ordered with the first. There are more exciting things happening at Silhouette....stay tuned! Just to reiterate.....I am sold out of the Pix Scans for Cameo.......The Pix Scans for Portrait ARE available in my Etsy shop. I also have limited quantities of etching creme, roll feeder and the new pen holder in my Etsy shop . Winner of Prima Flowers Set Announced! 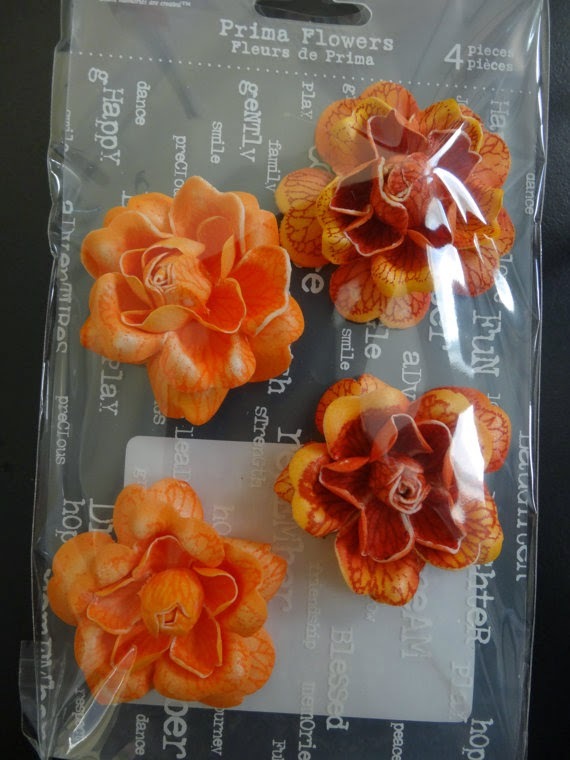 I so apologize for being late with announcing the winner of the Prima Flowers. My father passed away last Wednesday and it's been a bit difficult. You may tell yourself you are prepared, but when it happens, you can fall down the rabbit hole. Thank God I have the best family and friends that have been so supportive and loving during this time. Thank every single one of you for being there for me. Now to the winner of the Prima Flower set...........that winner is BritGirl58 ! Congrats to you! Please contact me with your mailing information so I can send you your beautiful flowers! Thank you to everyone that participated! Win a Prima Flower Set! 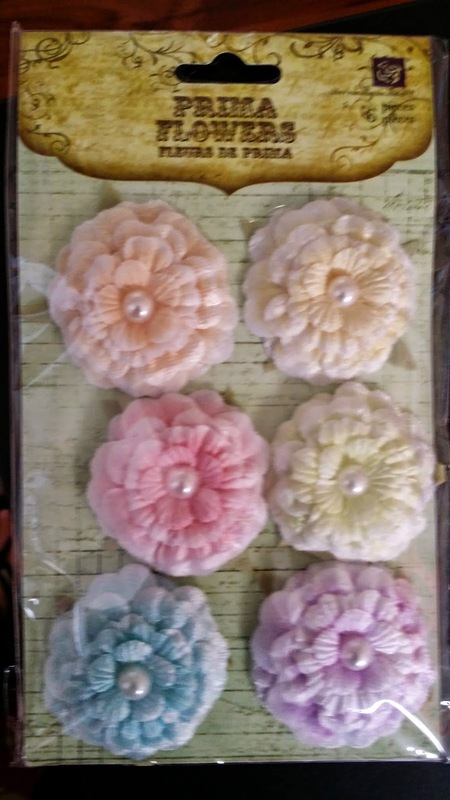 Want to win a Prima flower set? Read on! I want input from all of you as to what you would like to see me sell. 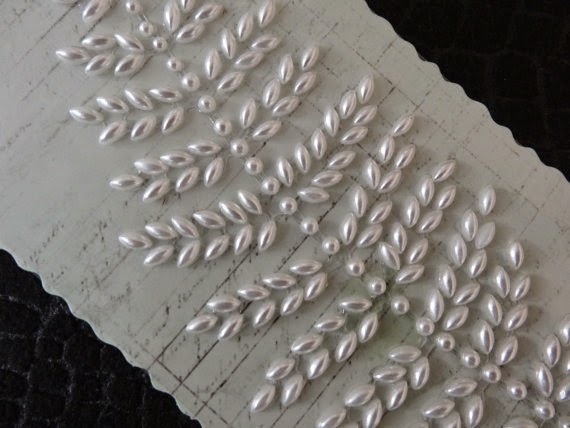 I'm going to have beautiful embellishment kits for you soon.....but...what would YOU like to see in my Etsy store? 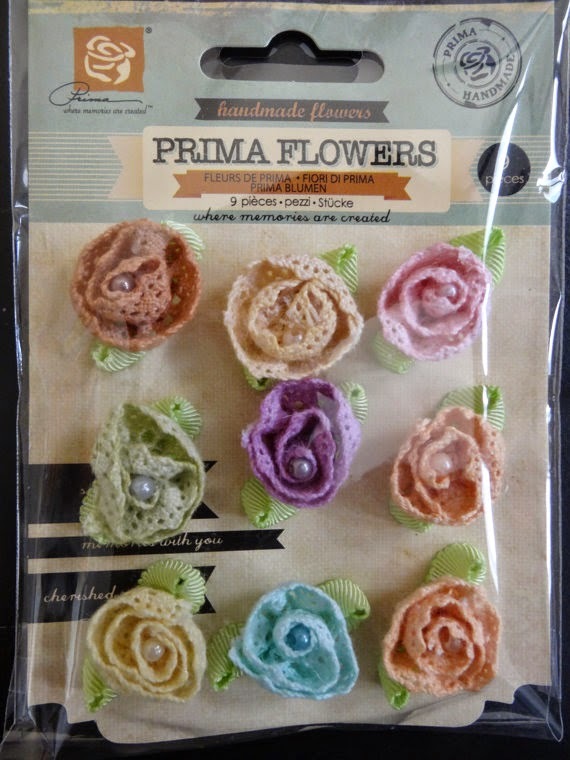 Comment below and I will pick a winner for a Prima flower set (pictured below) ! Contest ends on Friday, August 22nd. Seriously, I want to know what you want! Etsy shop. They are $12.99 plus shipping. I have limited Cameo and Portrait mats available. You can shop here or click my Etsy tab above. See you all soon! 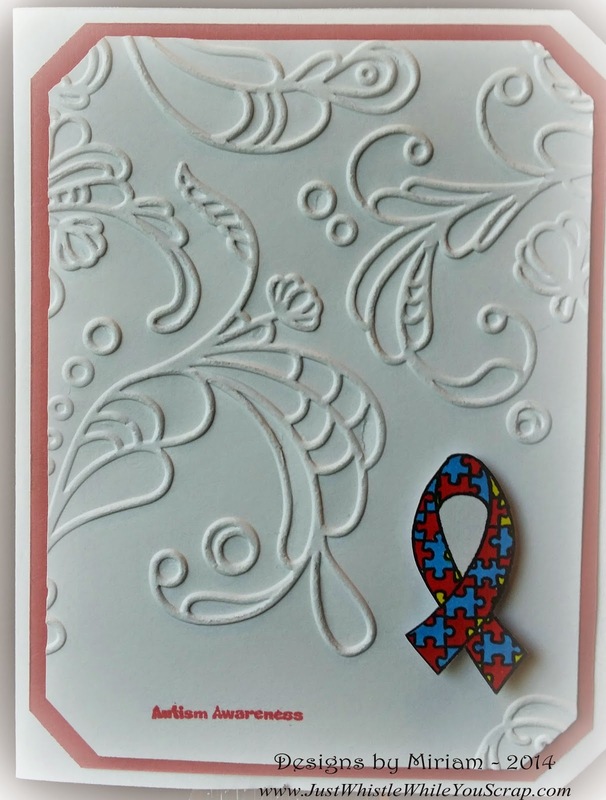 Autism Awareness - New Stamp Release and Blog Hop for Prizes! Welcome to the monthly NEW RELEASES for A Creative Journey with Melissa. Every SECOND WEDNESDAY of the month we will be featuring our newly released stamp sets. 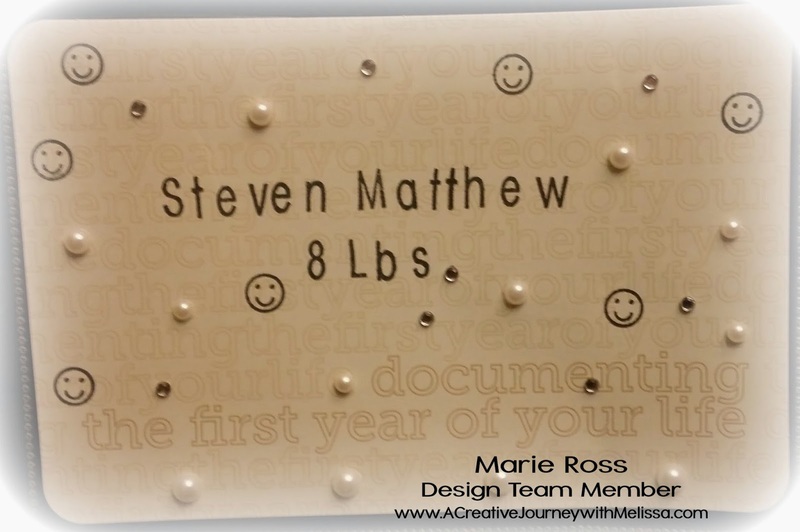 I am a Design Team member for A Creative Journey with Melissa and I am so excited to be able to share these beautiful creative designs with you today. The new stamp releases are the Awareness Ribbon Stamp Set #3 - Ready for a Fight and the Awareness Ribbon Stamp set #4 - Autism Awareness. We are also highlighting our amazingly cute and versatile Everyday Alphabet and Everyday Alphabet Outline stamp sets throughout this hop. 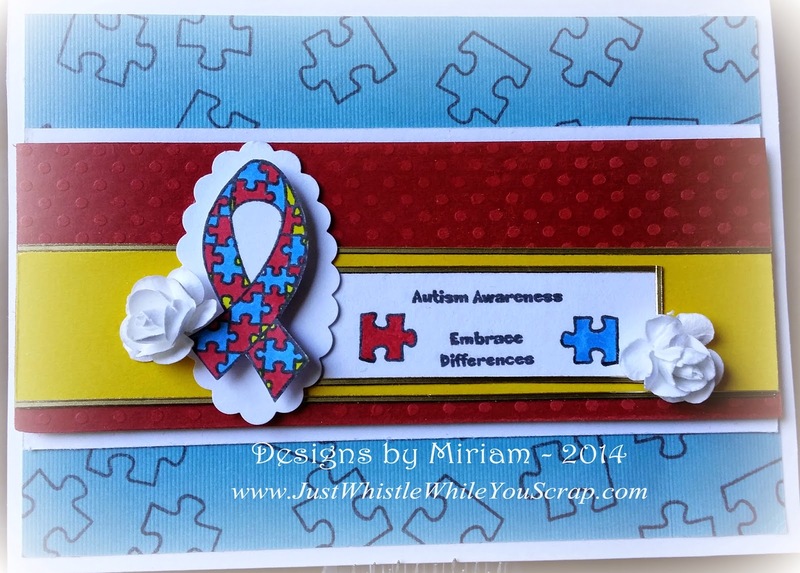 I am highlighting the Awareness Ribbon Stamp set #4 - Autism Awareness stamp set for this blog hop. My daughter works at the Help Group in Sherman Oaks, CA where she is a TA of preschool kids with Autism. These children have a special place in my heart and I was so happy to create my cards with them in mind. My question is: What is your favorite brand of ink pads to stamp with? Please be sure to answer on everyone's blog the question asked of you correctly and follow each blog. You will be entered in the giveaway for the three prizes if you do so! Entries for this blog hop will end Thursday at 8 PM PT. Winners will be announced on Friday on Melissa's blog. Be sure to check back at http://acreativejourneywithmelissa.com/blog/blog-hop-winner-3 to see if you are a winner! Thank you for visiting and please be sure to hop along to all of our other amazingly talented design team members and comment on each blog answering their question correctly. If you do, you will be entered to win one of three prizes listed above. Contest ends Friday at 8 PM. Winners will be announced. 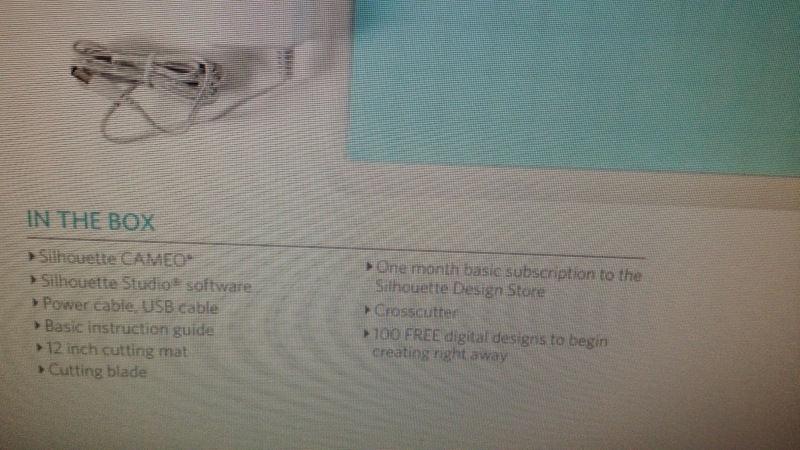 Just an update on orders received for the new Silhouette Pix Scan and other Silhouette new products. I have been inundated with orders on Facebook and by email. It will take most of today through midnight to answer all of you. If you have sent me an email yesterday or today, you are OK. I will get back to you with any questions you may have today....even if it takes me past midnight to respond. You have until midnight tonight (11:59PM PST) to email or FB message me an order. I want to place the order tomorrow so that Silhouette receives it by Monday, August 4th. 1. Send me your PAY PAL email and HOME ADDRESSES so that I can write up an invoice for payment. I believe Pay Pal will take Visa, MC, DISC and AMEX if needed. 2. I will send you an invoice through Pay Pal and once it's paid I will enter your order. 5. All orders from California will have 9% L.A. CA tax added to your total. 5. Once the order is delivered to me, I shall then ship out the products to you. Every order will have a tracking number. I plan to have all shipping labels done beforehand so that I can then ship out faster. **If you email after the cutoff time, you will have to order the products through my Etsy Store when I get the items in stock. That will probably be in three weeks' time. The people that placed their orders in the last two days will get the products first. Etsy will be second. If you have any questions, please EMAIL and I will do my best to answer. P.S. THE PIX SCAN MUST BE USED WITH SILHOUETTE VERSION 3, SO IF YOU HAVE NOT UPDATED, YOU MUST DO SO TO USE THE NEW MAT. I want to make sure this is understood. It's been awhile.........but I have plenty of news for you today!!! As you are aware, I am an authorized Silhouette retailer. When the news broke yesterday of four new products, my email and Facebook exploded with questions! Well, I went right to the source so I can get you answers...........here you go!! So many of you have been asking questions about the new products I thought it best to put out an information sheet to hopefully answer your questions. 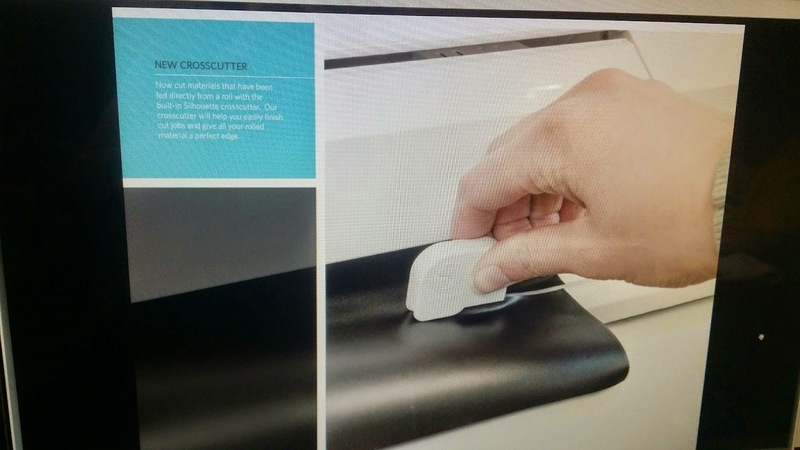 PixScan™ cutting matsUse the PixScan™ mat with your Silhouette electronic cutting tool and Silhouette Studio® software to cut precisely around a printed design or when you need to position cut lines in a specific location on your material. It’s as easy as 1-2-3! Your Silhouette will recognize registration marks on the PixScan™ mat and cut your material just as you’ve indicated in Silhouette Studio®. It’s a great way to use stamps, hand-sketches, and pre-printed images. I spoke with my Rep………this is an actual mat that you can cut from. 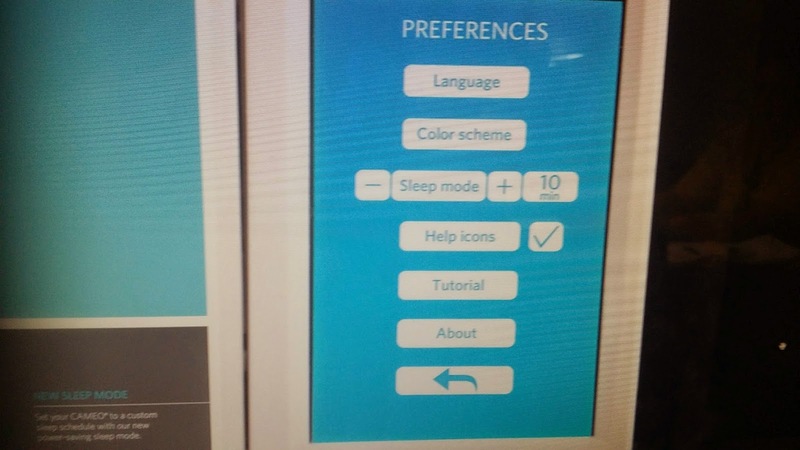 It does not replace the tracing feature. You put your image (rubber stamp, etc.) on the mat where ever you want. You can scan the picture, take a picture of the image and then scan to your Silhouette software. 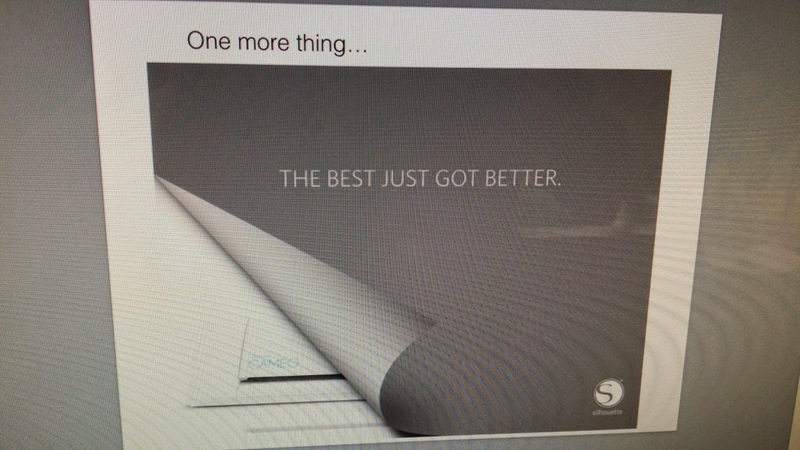 Your picture stays the SAME SIZE as your original………no more measuring or guessing. You can create an offset and cut or just make cut lines of the image to cut………the Pix Scan has built in registration marks……..you tell Silhouette WHAT to CUT and WHERE to cut………..FABULOUS! A brand new You Tube video is out and here it is: https://www.youtube.com/watch?v=VOaO1UNcyes You will absolutely love it! Pix Scan mat retails for $14.99………..if you order through me, it will be $12.00 plus $4 shipping to US. Canadian orders accepted but I would have to contact USPS to see what would be the least expensive way to ship. The Roll Feeder provides easy and convenient placement of rolled materials when cutting with your Silhouette. Simply place the Roll Feeder in front of the Silhouette and seat your rolled material into the Roll Feeder. The Roll Feeder provides a convenient guide so your material is loaded into the Silhouette straight and avoids concerns of improper loading alignment. 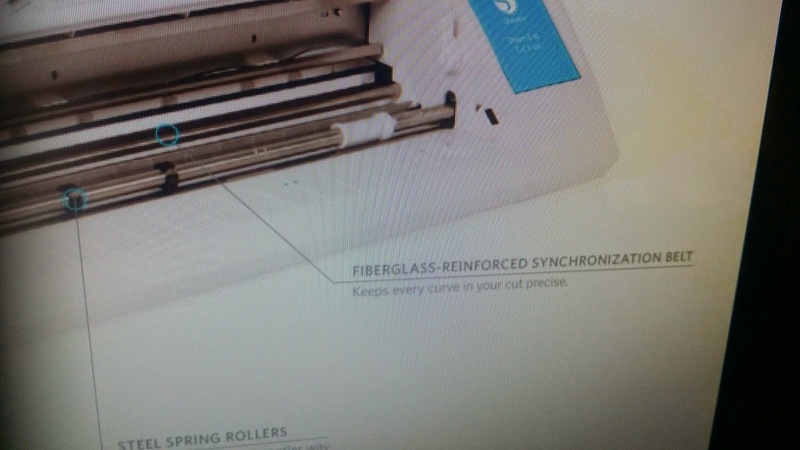 The Roll Feeder includes Roll Feeder and Crosscutter. Replacement Crosscutters are available for individual purchase. Use Silhouette glass etching cream with your Silhouette to permanently etch personalized text and designs onto mirrors or glassware. 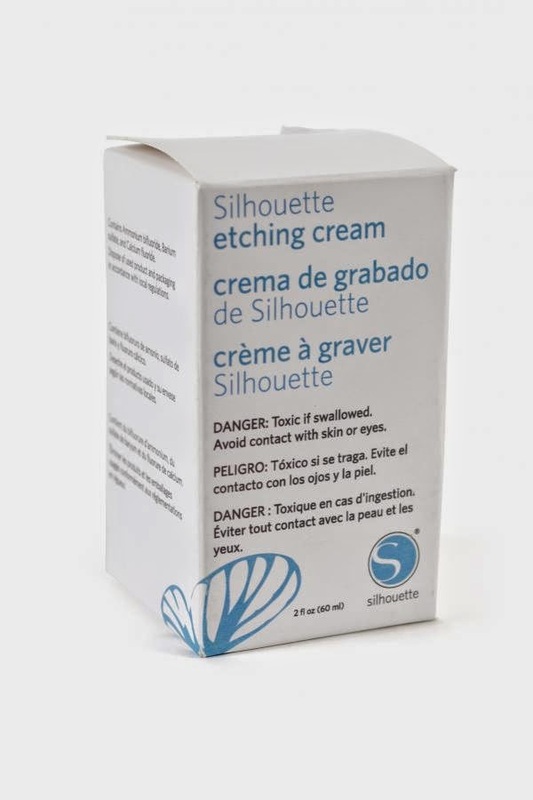 Simply cut a stencil using your Silhouette and apply Silhouette etching cream for permanent and beautiful etched glass. 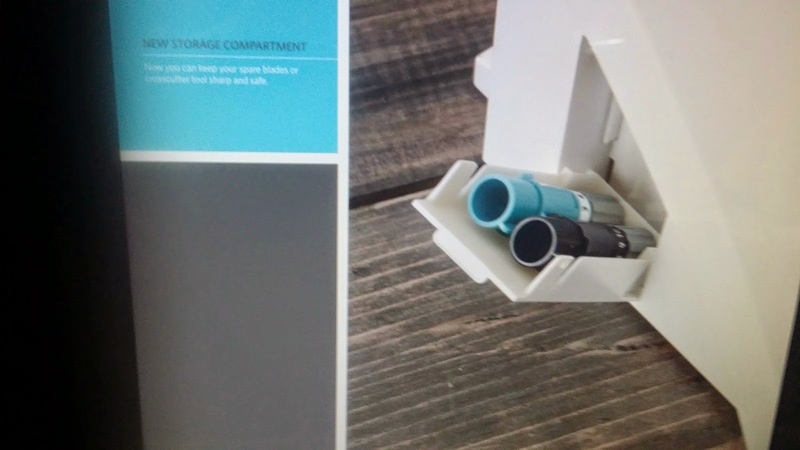 Replace your Silhouette’s blade with a pen to sketch instead of cut.The Silhouette pen holder can be used in all Silhouette electroniccutting tools and will hold most ballpoint pens. 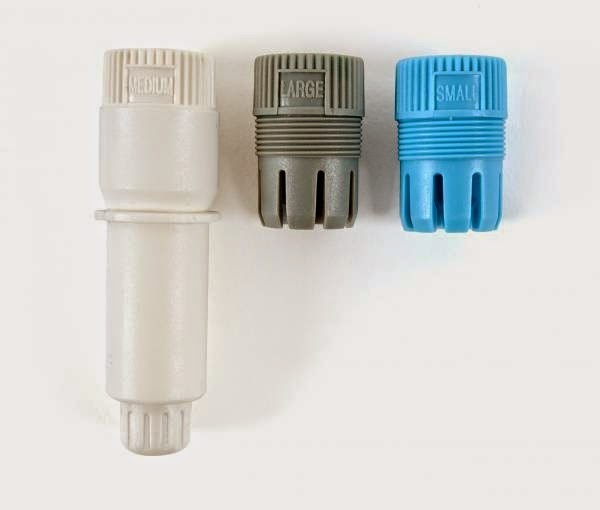 The Silhouette PenHolder allows use for a range of drawing instruments from a thinnerstandard pen to select thicker felt-tip markers.Includes three threaded collets for varying pen sizes - small(blue), medium (white), and large (grey). **** Email me to put in your order. Everyone that places an order today (8/1/14) or tomorrow (8/2/14) will receve a free sketch pen. As soon as I receive inventory, I will place them in my Etsy shop. IS WI FI ON ITS WAY TO OUR SILHOUETTE!???????? 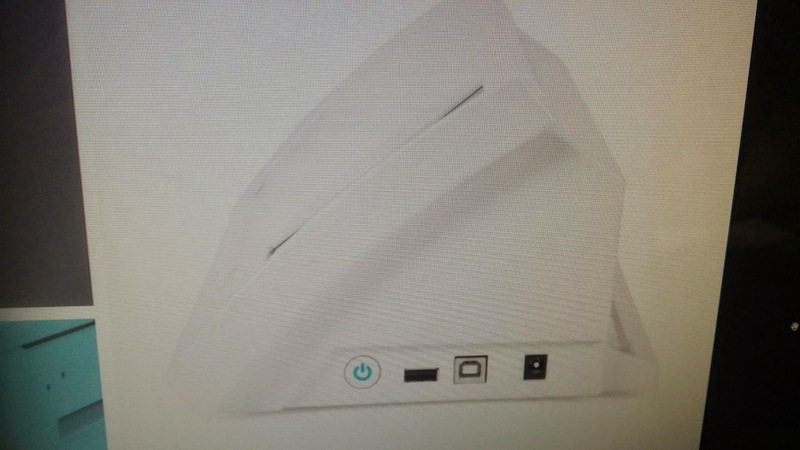 Someone mentioned Wi-Fi or Bluetooth adapter…………………………..they are seriously working on this!!!! I just about screamed when my Rep told me this. He thinks it may be Wi-Fi rather than Bluetooth and with this………………….we can design on our iPads and tablets………..can I get a Woot Woot! !………..thank you Berni for asking this question!!!!! 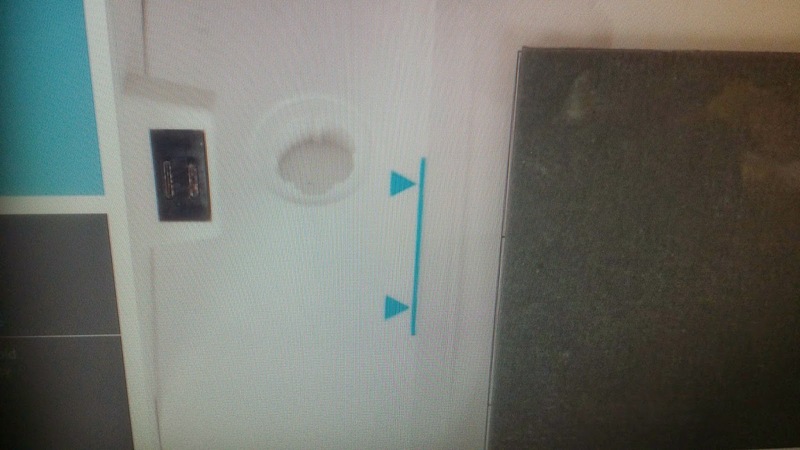 Silhouette coming down in price…………..what does this mean? 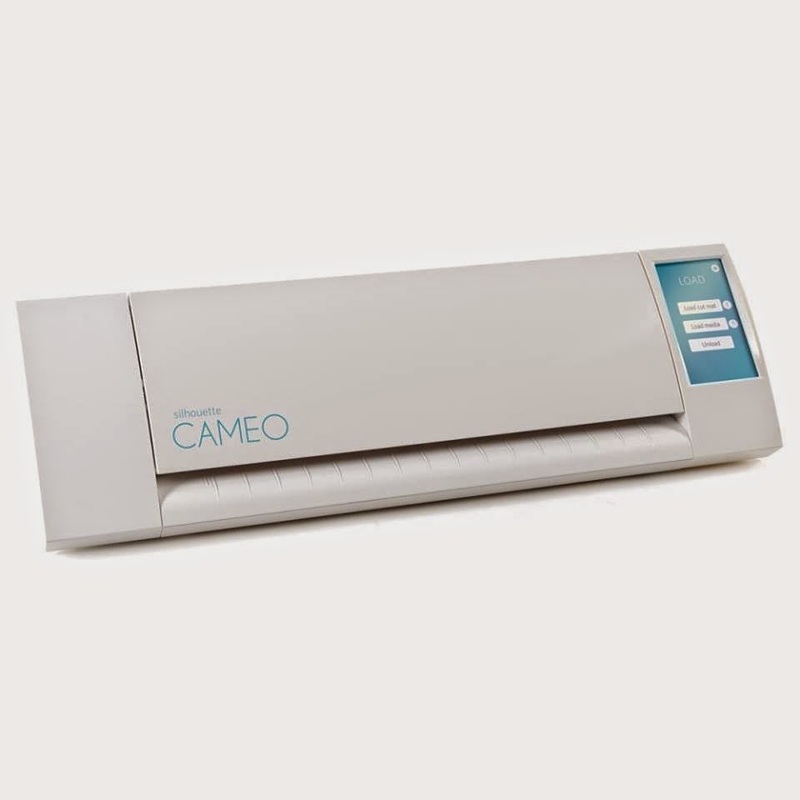 For one it means that you are getting a great deal on a Silhouette Cameo! The price has dropped to $229! I can order these but I would need a zip code first to see what the shipping cost will be (between $25 and $40 depending on zip code. I think it’s better to order the Cameo from Amazon and get free shipping if at all possible. Silhouette will not drop ship anymore. Since the cost of the Cameo went down, I had to ask “Is something else coming???? ?” I’m not allowed to say but………. Stay tuned…!